A DWI conviction can result in immediate and serious consequences. Drunk driving / DWI penalties in New York are severe and can have a cascading effect on your driving privileges, employment and assets. If you are arrested on suspicion of DWI, you need to contact Buffalo DWI lawyer Arthur L. Pressman immediately. Time is critical, and we are prepared to fight for your rights, even if you have had DWI convictions in the past. Denying yourself the proper representation may have devastating consequences for your future, especially for multiple violations. Having a savvy, tenacious Buffalo DWI Lawyer on your side can make all the difference. Buffalo DWI lawyer Arthur L. Pressman helps you avoid financial burdens, suspension of your license and severe criminal DWI penalties. Your reaction time is essential, and Buffalo DWI lawyer Arthur Pressman can help you right away. 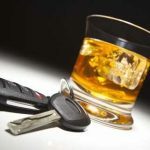 If you or a family member is in need of a DWI lawyer who is familiar with New York state law, contact Buffalo DWI lawyer Arthur L. Pressman at (716) 984-1795 or online. For your convenience, our office is on the subway line, and we offer a free initial phone consultation seven days a week.